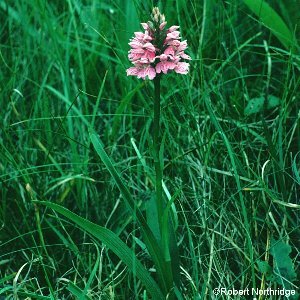 Hybrids between different species are quite frequent among the wild Irish and British orchids, some of these hybrids being very common in the right situations. This particular hybrid, however, has only been found at one Northern Ireland site (Conlig), on two occasions. Hybrid orchids only occur at sites where both parent species grow side by side.